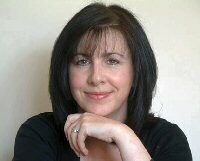 Jo Ward Dip Hyp SQHP NRH GHR is a registered, experienced, senior clinical hypnotherapist working in Maldon in Essex. She is registered with the General Hypnotherapy Register and is therefore bound by its strict ethics and code of conduct. She is committed to continuous professional development in order to deliver the most up-to-date techniques to her clients and has undertaken advanced training in many specialist areas. She is also a Neuro Linguistic Programming Practitioner, trained life coach and a City & Guilds qualified trainer. Above all, she always works in a genuine, caring, confidential and supportive way. Having experienced divorce, bereavement, phobia, stress and many other challenges that life can bring, Jo found she has a growing respect and empathy for people who want to improve their lives too. The techniques she promotes have improved her own life immeasurably, which is why she’s so passionate about them. Jo is able to devise a personalised, bespoke programme to suit the individual and achieve the optimum results in the shortest possible time. She uses hypnotherapy, both suggestion and analytical, Hypno-CBT, coaching and neuro linguistic programming techniques, which ensure the best possible outcome for the client. All work with clients is carried out in the pleasant surroundings of our comfortable, private clinic in Heybidge, Maldon. The best possible reference is a personal one. Jo thrives on great feedback from previous clients who have been blown away by the success of their work together. Read what previous clients have to say by clicking here. Why rely on willpower alone to help you achieve your goals, when the power of hypnotherapy can help you change now. Results can be fast, painless and permanent! Jo can help you sort your life out! Not convinced yet? Try a session for free! A free, no obligation, initial session is offered at the Maldon practice to enable the client to make a decision about whether to go ahead. It also allows Jo to ensure she is the best clinician to help the individual.